In a spectacular saffron sweep, the Bharatiya Janata Party is heading for a landslide victory in assembly elections in Uttar Pradesh, India’s largest state and the epicentre of the country’s politics. Latest trends indicate that the BJP, which heads the ruling coalition at the Centre, looks set to gain over 300 seats in the 403-seat assembly in UP. It’s clearly a big moment for Prime Minister Narendra Modi who campaigned extensively across the seat and staked his personal reputation in the UP elections. Mr Modi’s charisma and his rallying slogan of “Sabka Saath, Sabka Vikas” (inclusive development) seems to have smashed the entrenched caste arithmetic that had traditionally worked in favour of regional parties like Samajwadi Party and BSP in the past. The electoral victory in Uttar Pradesh bears the Modi stamp, but it could not have been possible without 24×7 strategizing and organisational skills of BJP president Amit Shah. The BJP’s victory is also seen as a big endorsement for Mr Modi’s controversial demonetisation, which was aimed at cleansing black money out of the system. 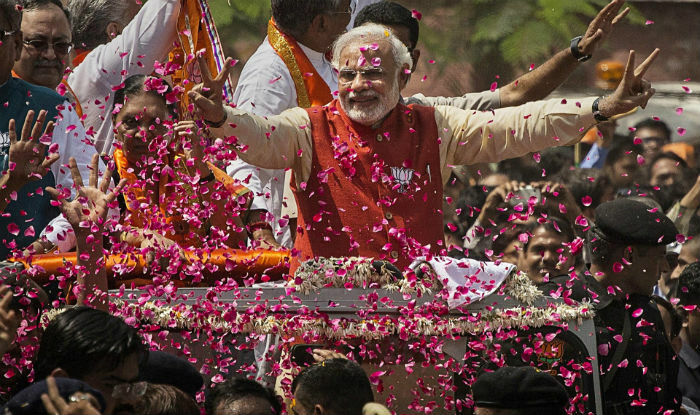 Demonetisation was widely criticised by some opposition parties, but the BJP’s victory in India’s most populous state is expected to silence all critics.